Nexgrid's ecoOne is a Utility Network operating system that provides visibility to an endless amount of devices to improve reliability and provide a real time visibility to the distribution grids status. ecoOne supports industry standard protocols to ensure easy integration with third-party software systems. ecoOne maximizes the efficiency of the existing grid, delivering interoperability between meters, transformers, capacitor banks, load control relays and other grid devices creating a single portal for information, command and control. More flexible and powerful than proprietary or single-function software suites, ecoOne provides device management, network health monitoring, version control, remote firmware upgrades and device interoperability. Built-in are installation, configuration, provisioning, management, monitoring and control functions, allowing seamless integration of both existing and new applications. 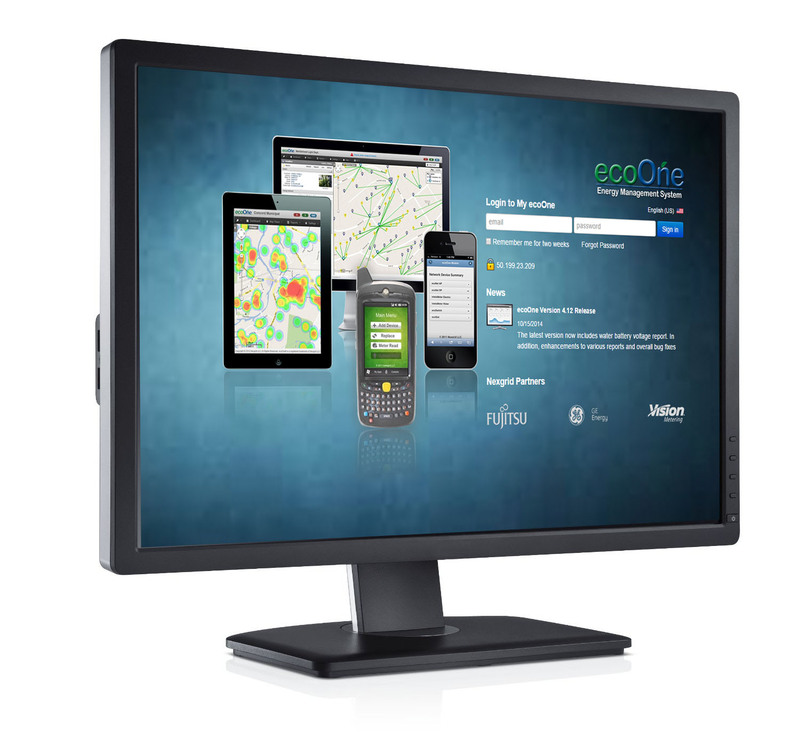 ecoOne provides a simple, easy to use interface that provides maximum visibility into the network. Mapping capabilities provide the user with a real time view in the network. Flexible event reporting and alert policies can be created and assigned by group or unique user. Easily manage end point devices whether related to outages, peak pricing, connect/disconnect, load control or distribution automation. The system architecture provides a secure path to new services for customers, including enhanced billing, operations, demand response, marketing, load forecasting and customer service. ecoOne makes the Smart Grid a reality while enabling optimal utilization of field resources, network management and end-point connectivity.